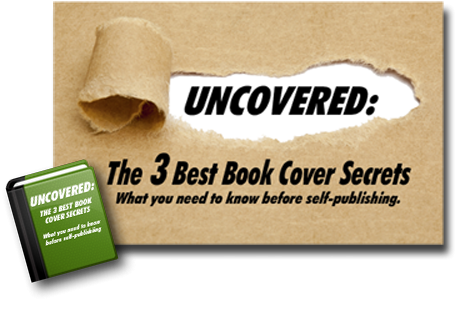 Most self-published authors hope to publish a book (or books!) that will make some money. But while some indie books become popular with book-buying readers, other books struggle to break out beyond an audience of friends and family. 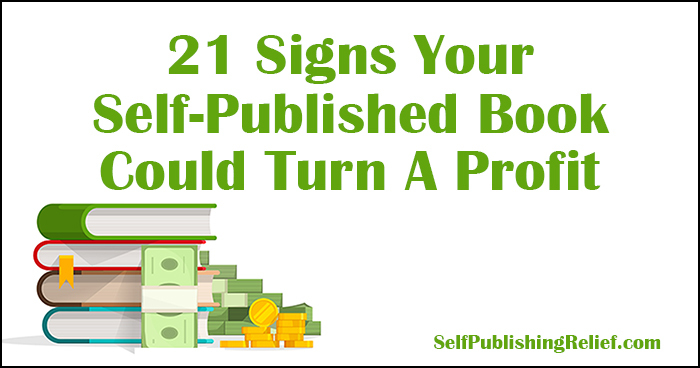 How do you know if your self-published book could turn a profit? The experts at Self-Publishing Relief share which factors may play a part in your indie book’s sales forecast. A popular genre. When you write in a popular genre, your fan base already exists. Readers know exactly where to find new stories in the genres they love—and they’re always on the hunt for new books to buy. Learn more about which book genres make the most money for self-published authors. HELPFUL HINT: Some book genres are especially popular in e-book form. Could your book take advantage of e-reader sales? Here are the book genres that sell best in digital form. Word count. While self-publishing is a boon for writers who have penned books of alternative lengths, you may find that readers tend to review books more favorably when the word count lands in the genre’s sweet spot. Books that are too short may leave readers feeling like they didn’t get their money’s worth from their purchase; books that are too long may leave readers thinking less is more. Learn more about hitting the best word count for your book genre. Great cover art. There’s no doubt that genre-appropriate, emotional, eye-catching cover art design can spark readers’ imaginations and encourage book sales. The opposite is true for cover art that doesn’t conjure a strong emotional reaction: Covers that don’t engage are less likely to sell. Enticing back cover blurb. When the book blurb (or summary) that describes your book’s premise is alluring, compelling, and easy to understand, you may find readers are more inclined to skim the opening pages or download a free sample. HELPFUL HINT: What makes a book’s summary appeal to readers? Check out this article dedicated to help you create a more evocative book blurb. Price. Unless you’re a well-known author, few readers will be willing to pay a high price to read your book. But conversely, being the cheapest book on the block could backfire if readers presume that a low price means low quality. A book that’s priced right will garner interest from readers and also put a little more green in a writer’s pocket. Release date. Changes of the seasons, sports events, major holidays, awards, and any public events that people get excited about can serve as great springboards to launch extra book sales. Capitalize on the “branding” of summers at the beach and winters at cozy ski lodges, and you may see a bump in your profits. Publishing trends. Like so many industries, publishing is sometimes guided by reader trends. Remember when every book seemed to be about all vampires, all the time? Writers who jump on the bandwagon at just the right time are able to monetize trends. A fresh look at a perennial theme. They say it’s all been done—but not by you! Books that offer new ideas and perspectives on classic storylines are coveted by modern readers who have been there, done that. Narrative nonfiction with big returns. The most groundbreaking nonfiction books offer readers a big ROI (return on investment) for time spent reading. Whether you’re promising practical, life-changing advice or giving readers a new point of view on a familiar subject, books that have a high takeaway value are books that sell. Colorful, interesting setting. A quick walk down your own personal memory lane of favorite books will likely reveal glimpses of fascinating locations that have stayed in your mind. If your book offers readers a journey into a colorful, interesting, or unfamiliar place, readers may respond by giving you a nice little sales bump. Read more: Literary Locales: What Great Books Teach Us About Setting. Memorable characters. Reader reviews may encourage sales growth if people are raving about how much they love your characters. But a not-so-strong relationship with your characters could lead to lackluster reviews and decreased word-of-mouth sales. A big, emotional story. For both memoir and novels, “big” stories tend to score a larger slice of the sales pie than “smaller” stories. What—you may ask—is a big story? Marketing and promotion. Your enthusiasm for your project can be a key force behind the success of your sales. When you’re energized, potential readers may pick up on your positive vibes—and the effect can ripple. Infrastructure for social media outreach. There’s no question that social media shares, likes, and recommendations are fundamental to word-of-mouth book sales. Read more: 9 Tips For Selling More Books Via Word-Of-Mouth Sales | Self-Publishing Relief. Effective brand awareness. Although the jury is out as to whether or not paid advertising actually sells copies of self-published books, it is important to approach your marketing with a big, wide-reaching promotional campaign that can create awareness of your new release. An author website built to harness the power of fan-building. Even before your book launches, an effective author website can help build your mailing list (and fan base) and generate the pre-orders that are essential for writers who hope to make bestseller lists. Positive early reviews. By strategically giving out free copies of your self-published book to key opinion makers and reviewers, you may be able to inspire buyers. An endorsement from a famous author. Recommendations from celebrities, fellow writers, and others who have a great platform can help you reach maximum book sales. An irresistible speaking/seminar pitch. The strength of your book sales depends mostly on the strength of your product (your book! ), but who you are as a person can also play a role. Are you charismatic? Energetic? Interesting? Play up your personality and book to libraries, bookstores, and writing groups to line up speaking engagements and seminars. Friends and family mobilized to help you sell books. The word-of-mouth chain reaction that builds your book sales has to begin somewhere—and your friends and family are the perfect place to start! Major publishers tend to play it safe when it comes to doling out advances for book contracts. But authors who are willing to break the mold may find self-publishing offers a world of advantages that would not be available to them with traditional publishers. Regional books. While big publishing houses might want books with international sales potential, a self-published author may enjoy the unique benefits of being a local author in a regional market. From guides to historic sites, to true stories of the old days, to novels depicting a lost time, regional readers will appreciate your local flavor—hopefully enough to buy your book! Projects of alternative lengths. A traditional publisher might determine that there isn’t a market for a 30,000-word novel or a 150,000-word memoir. But writers who have think-outside-the-box drive might just be able to create a market for their so-called “unmarketable” books. Niche books. Some topics will naturally have a smaller audience. But small is relative. Writers who are willing to tackle niche subject matter may still benefit from extraordinary sales, especially if they’re writing on a subject where there aren’t a lot of competing books. Collections of poems or stories. The big publishing houses often give a “no thanks” to books that are collections of stories, poems, or essays. Why? Because even if a collection is amazing, it may not be easy to market. Self-publishing might therefore be a viable alternative that can generate book sales. Here are a whole bunch of articles about how to self-publish a collection of poems, stories, or essays! HELPFUL HINT: Before you self-publish, know the current industry etiquette regarding previously published writing. Self-publishing a piece may limit your ability to publish it with a literary journal later on. Your powerful story. Sometimes, the powerful drive to tell a story is reason enough to self-publish. Perhaps you want to preserve the story of how your grandmother survived a life-threatening moment in history. Perhaps you want to share what you’ve learned about caregiving, landscaping, or mountain climbing so that others may benefit from your experience. Even if major publishers aren’t interested in your story, self-publishing can lead to emotional (and possibly financial) reward. Books that don’t pander to trends. Editors who are strictly on the hunt for books that echo trends are in danger of overlooking the books that are about to start new trends. Is it any wonder so many of the biggest trends in book publishing start in the world of self-publishing? Self-publishing is not for the faint of heart. While writers seeking traditional publication must learn to make peace with the heartbreak of rejection letters, self-published authors face losses that are both emotional and financial. When all seems lost (and at some point, it very well might), your ability to maintain your drive, determination, and optimism can be a key factor in just how far you’ll go in your self-publishing career. Want to learn more about how to maintain a positive attitude for the long haul in your life as a writer? Check out our e-book: The Happy Writer. What About The Underdogs Of Self-Publishing Who Made It Big? One of the coolest things about the self-publishing industry is that individual writers truly do have the power to create trends. As booklovers who are in the trenches of real-world readers, self-published writers often have perspectives that traditional publishers can only dream about. And that’s great news if you’re hoping to make some money by self-publishing a book. Even if your book doesn’t seem primed to become a breakout, big-time best seller, there are plenty of examples where, against all odds, self-published books have broken out and earned big royalties. So even if your book doesn’t meet ANY of the criteria we’ve discussed in this blog post, you might find that your book is still a surprise hit—or that your slow-to-build “sleeper” sales eventually turn your book into a sensation. Someone is going to beat the odds. It could be you. Stick to your truth, stay positive, let the world know your book exists—and rest easy knowing that you’ve done everything you could to reach your goals. Help! My Self-Published Book Isn’t Selling! Writer, Can You Help? Share your experiences with our readers. What do you think is a determining factor in how much money a self-published book can make?